Technically, the SPELL boutique has been open since mid February, but as Goddess of Babylon’s Chantel Barber said on the night, “You needed to ring it in with a ritual”… And we’re all about the rituals! 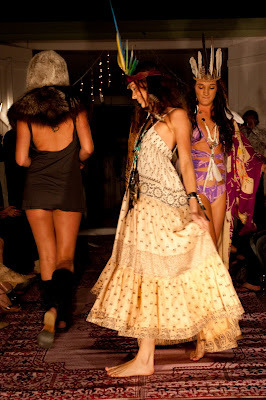 So we thought – what better way to really mark the space open than to play dress-ups & put on a fashion parade! So to the sweet sounds of Stevie Nicks’ “Rhiannon” (Miss Nicks has cemented herself as our creative muse & the sound track to our design studio!!) 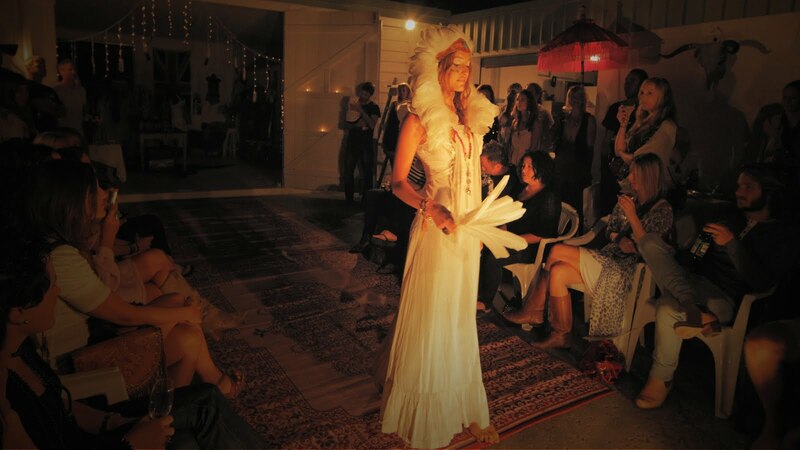 Shayna strolled, dream-like, down the catwalk gently releasing huge white feathers into the crowd – wearing a vintage cotton floor length dress and a cascading white Buffalo Girl headpiece. Then, the iconic girl-power riff (thanks Beyonce!) of Edge of Seventeen kicked in, and Kobi strutted her tiny little self down the catwalk, wearing Glastonbury Make Love Not War Army shirt & Spell Barbarella shorts. The parade continued with a colourful burst of Buffalo Girl headpieces, Spell kimonos & jumpsuits, one-piece bathers by local swimwear label Inikib – all these pieces & more are available at the Spell Boutique! 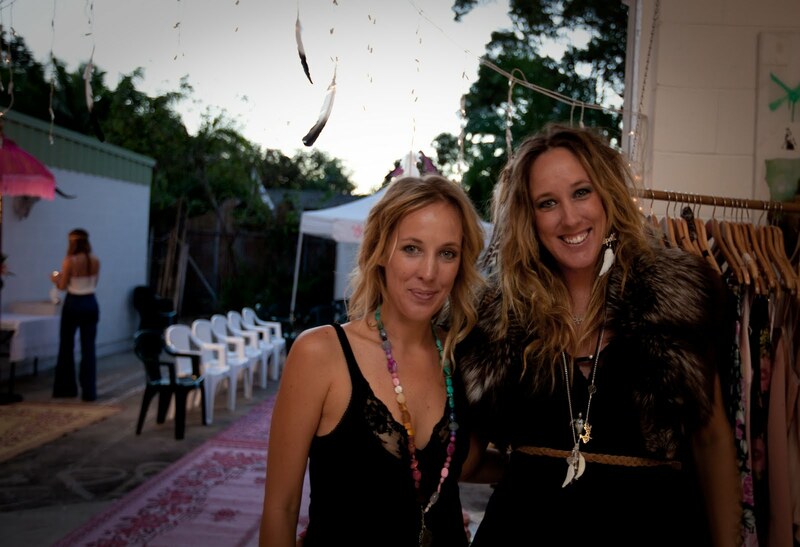 And with that, our boutique SPELL – The Gypsy Collective was officially open! 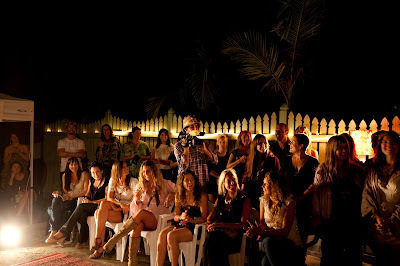 Thank you to our gorgeous models – sister duo Tahlia & Kobi & veteran Spell models Nina & Shayna… Our make-up Artist Phoebe Barrett… Lisa Richmond & Terezka Beck who were our little shop assistant angels on the night… Beck Rocchi for her gorgeous photography (www.beckrocchi.com.au)… Roddy for his culinary genius… And a huge thank you to our beautiful supportive partners Dougs & Johnny – what would we have done without you both!! How dreamy! When I head up north, I'll be looking your shop up!